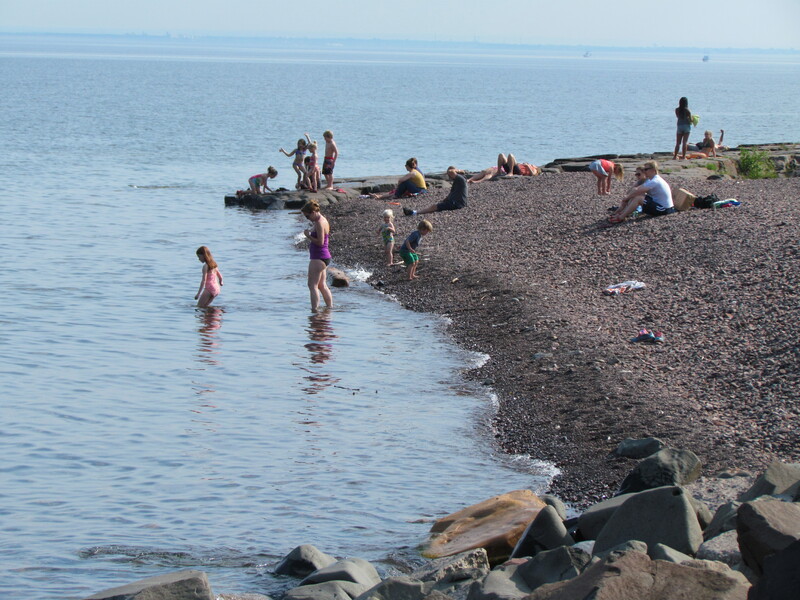 It’s not often that the temperatures in Duluth reach 90 degrees. And after the three week string of 40-degree weather we had in June, hitting that mark seemed inconceivable. But today was the day. There was no mistaking it. It was the kind of day where it was impossible to escape the heat. With the humidity also close to the 90% mark, the hot sticky air seemed to envelope everything, particularly one’s body. But there were plenty of people seeking all sorts of ways to try and cool off. Myself included. My choice was to head up the shore on my bike. Although the air was hot, it still felt better to be creating my own breeze. There was little respite from Lake Superior, despite the fact that it remains chilly. I had only occasional cool spells when there were no trees between me and the lake. But I welcomed each and everyone of them. Along the way I enjoyed people watching and surveying the variety of ways folks flocked to the water to relieve the summer heat. Lake Superior was a natural. Brighton Beach attracted its share of families, but they didn’t venture very far into the lake. There’s cooling off, and then there’s frigid. The lake was the latter. 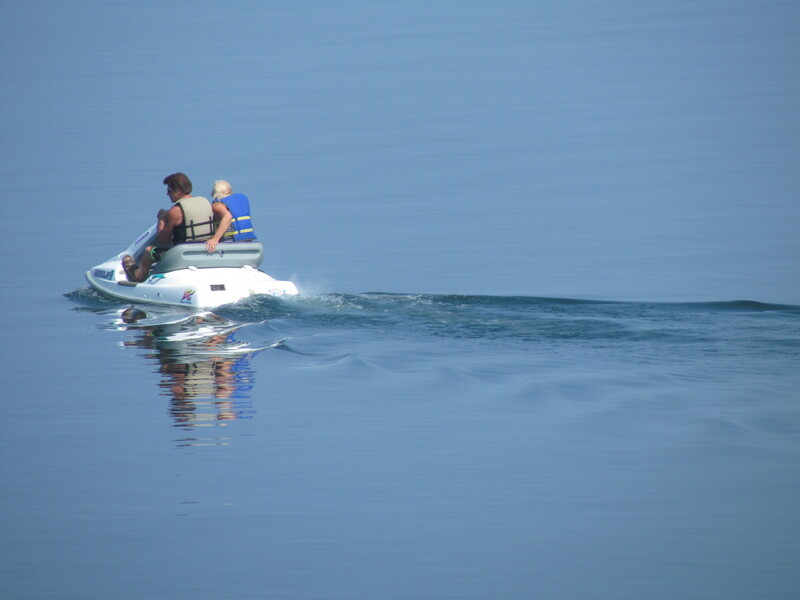 It’s not often one sees a jet-ski in Lake Superior, but the water was so calm today that it invited such activity. I can’t say I’ve ever seen a double before! 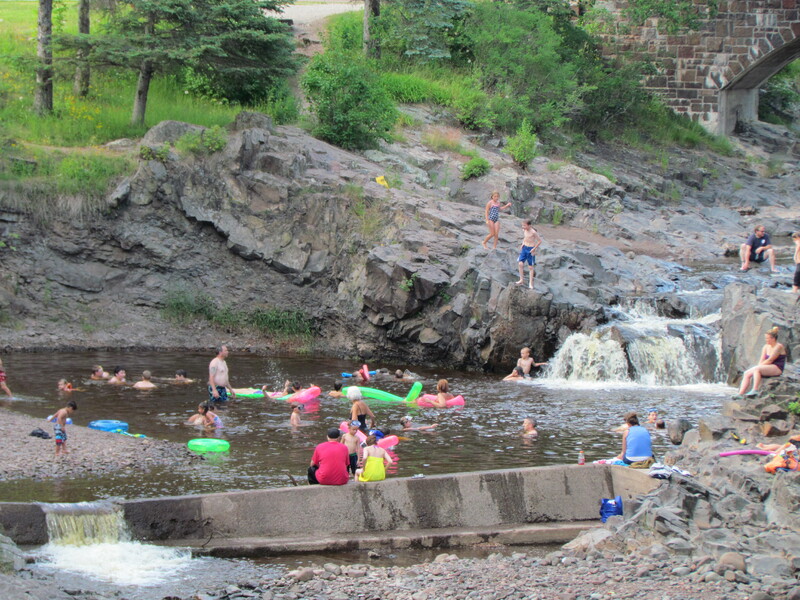 Lester River had its share of swimmers, and the youngsters seemed to enjoy jumping off the rocks into the water. However that was nothing compared to the feats of the local teenage crowd. 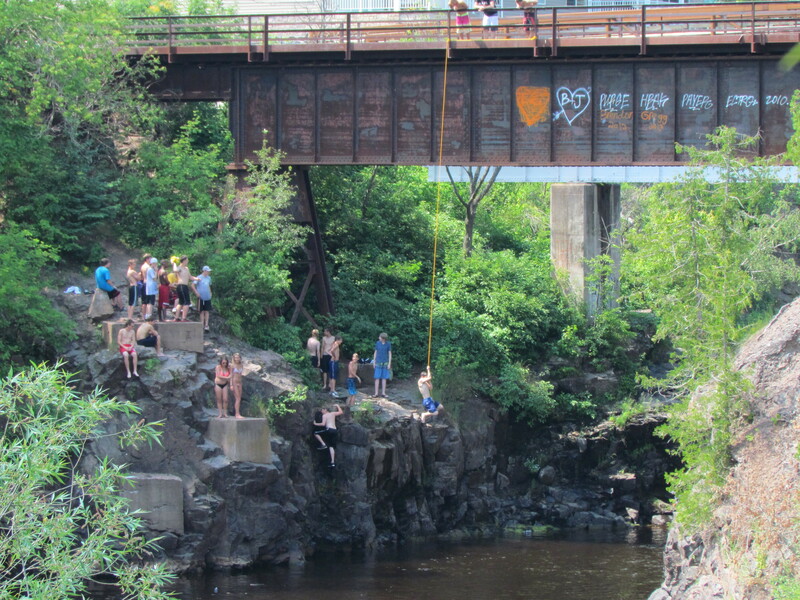 Lower down the river, they demonstrated their fearlessness on a rope swing attached to the railroad bridge. Others jumped straight from the rock cliff. But nothing beats The Deeps for daring do. 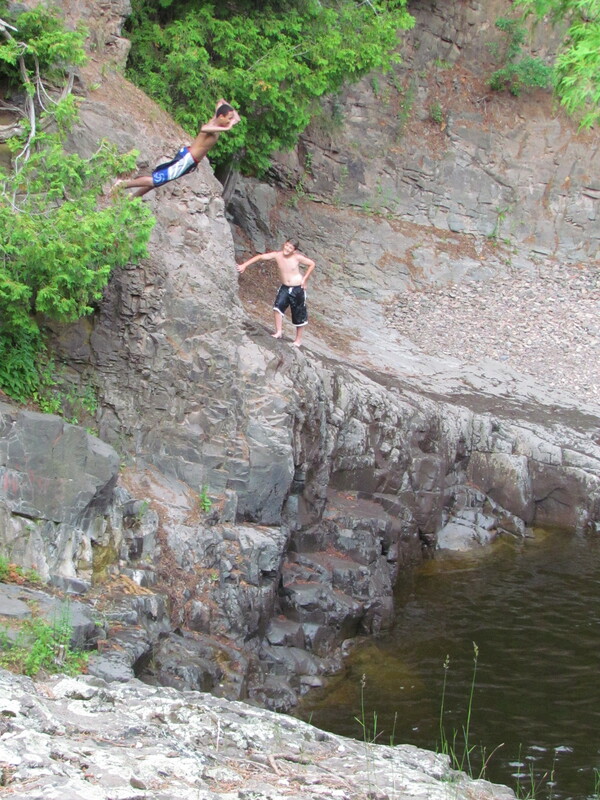 Right there in our own back yard, the water hole beneath the waterfall on Amity Creek is a magnet for teenagers, eager to show off by jumping from increasing heights above the pool. I found it chilling enough just to watch. There’s something for everyone here. It just takes the rare day that we have to go to such lengths to beat the heat here in Duluth. This entry was posted in Life Up North, Outdoors and tagged Duluth Minnesota, Lake Superior by Molly. Bookmark the permalink.